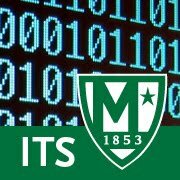 ITS is aware of a network issue preventing VERIZON customers from accessing all campus services. ITS is working with our ISP (Internet Service Provider) to work around the Verizon issue. We have confirmed that customers with service from other providers such as Time Warner are currently unaffected. ITS has received confirmation that Verizon is experience major network issues across the North East. Access to manhattan.edu restored to Verizon customers. ITS has worked with our ISP to route traffic away from the affected Verizon network segments. We will continue to monitor the situation until we have confirmation that the Verizon has resolved issues on their network.